Special Offers: See website and third party stockists for special offers. Where To Buy: From its own website. The Daytime Formula: Designed to burn fat, boost energy levels, and increase mental focus to provide improved strength and more effective workout sessions. The Nighttime Formula: Designed to enhance weight loss during the early stages of sleep by stimulating specialized hormones. Six Pack 2 appears to be designed to provide nutritional support to athletes who are trying to build the body beautiful, so it is unlikely to be the best weight loss option for those of a more sedentary nature who are merely seeking a little help to shift a few unwanted pounds. Guarana Seed Extract (1050mg): A potent source of caffeine. The dosage here is equivalent to 10 cups of instant coffee, so it should easily raise energy and focus levels, but may cause side effects including, nausea, the jitters, and heart palpitations. Bitter Orange Peel Extract (500mg): The active ingredient is a fat burning stimulant called synephrine. Its use here may produce some good results, but synephrine has been linked to dangerous cardiovascular related side effects including heart attacks and strokes. Green Tea Leaf Extract (475mg): A popular diet pill inclusion that is high in antioxidants and has a strong reputation for encouraging fat burning. Octopamine HCL (275mg): A stimulant believed to encourage fat burning and protect against muscle loss. Its use can also raise the blood pressure. Sclareolude (125mg): A fermented sage compound believed trigger the release of cellular enzymes that move fat out of fat cells and contribute to the overall weight loss process. Nopal Leaf (75 mg): A cactus extract that primarily functions as an appetite suppressant. Sesame Seed Extract (85mg): A highly nutritious ingredient that is often believed to possess potential as a weight loss aid, but the high fat content could reduce in the ingredient producing the opposite effect. Coleus Forskohlii Root Extract (50mg): A plant extract that may prevent against the loss of muscle mass. BioperineR (2mg): A patent-protected form of black pepper extract that is proven to assist fat burning and may also help other ingredients to be absorbed more quickly. Magnesium (450mg): A mineral that assists the absorption of other nutrients, magnesium is also believed to contribute to the fat burning process. Zinc (30mg): A study published in Biological Trace Element Research, in 2013, shows zinc deficiency can lead to weight gains, so the ingredient may have merit as a preventative measure. Vitamin B6 (10.5mg): Believed to contribute to a health metabolism. L-Arginine Pyroglutamate (225mg): Releases growth hormones that can assist muscle growth. May also encourage fat loss (when combined with training). L-Lysine (115mg): An amino acid that promotes the growth and repair of bodily tissues. L-Ornithine Alpha Ketoglutarate (75mg): An amino acid that can sustain and promote muscle growth and increase athletic performance. Colostum (50mg): A source of leptin (important for regulating energy usage and expenditure). Daytime Formula: Two capsules should be taken with breakfast. A further two capsules are taken with dinner. If the formulation interferes with sleep the manufacturers recommend moving the second dose forward and taking it at lunchtime. Night Time Formula: Four capsules should be taken just before retiring for the night. The stomach should be reasonably empty and the capsules should be washed down with water rather than juice, milk, or any other beverage. Each (2 bottle) pack should be sufficient for 30 days. The product is stocked by several online and offline suppliers who specialize in health and fitness products including Popeye’s, GNC, and Nutrition Health; so customers who reside in North America should be able to find a supplier without too much difficulty. Customers who live elsewhere in the world may find it difficult to locate a supplier. The official product website showcases a few testimonials that are attributed to satisfied Six Pack 2 users, but feedback from such a biased source is not to be relied upon and independent feedback could not be found. It is also worth noting that all the site testimonials were left by females and cannot in any way be seen as supportive to the men-only formulation. The manufacturers state anyone who has any existing or suspected medical problems should seek medical advice prior to commencing supplementation. This is good advice because several of the ingredients are known to have the potential to cause side effects. 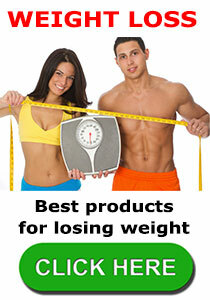 If you are researching which fat burning workout supplement to buy then we recommend Instant Knockout. 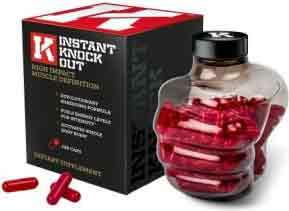 Instant Knockout is great for shedding existing fat after your bulking cycle without losing muscle mass. This entry was posted in Fat Burners, Muscle & Strength and tagged Six Pack2 GNC, Six Pack2 Men, Six Pack2 Negatives by admin. Bookmark the permalink.